Janet (Wong) and I are in Los Angeles for the National Science Teachers Association (NSTA) conference all set to share POETRY with this gigantic group of science teachers. 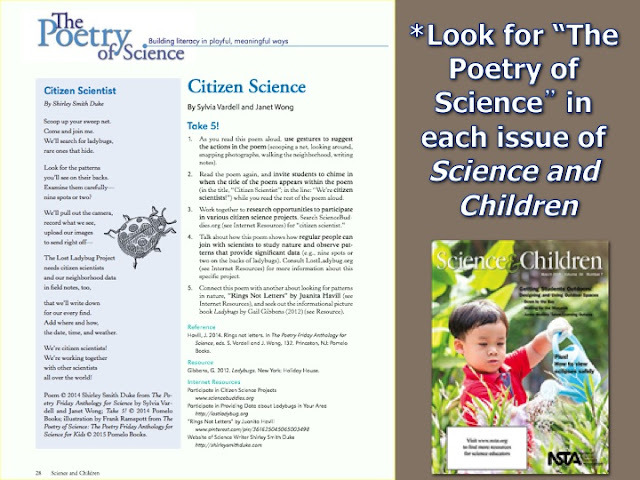 This is our third or fourth time to join an NSTA conference and we’re always so pleased about how open they are to infusing poetry into the science curriculum. After our first NSTA conference, the editor of SCIENCE AND CHILDREN invited us to submit an article which resulted in this article HERE. 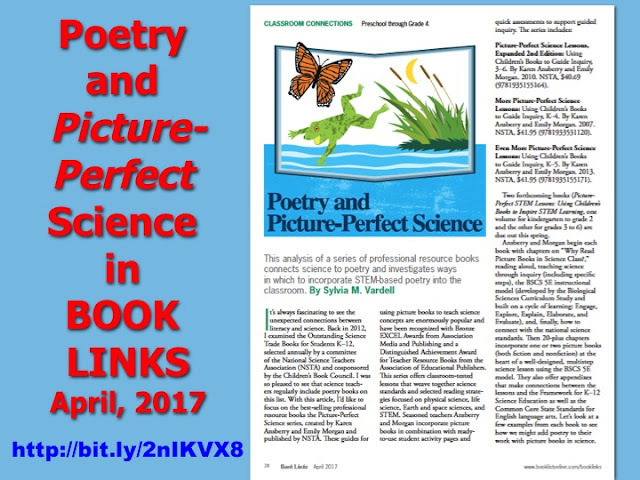 We really tried to make the case for how many wonderful works of poetry lent themselves to the teaching of science. 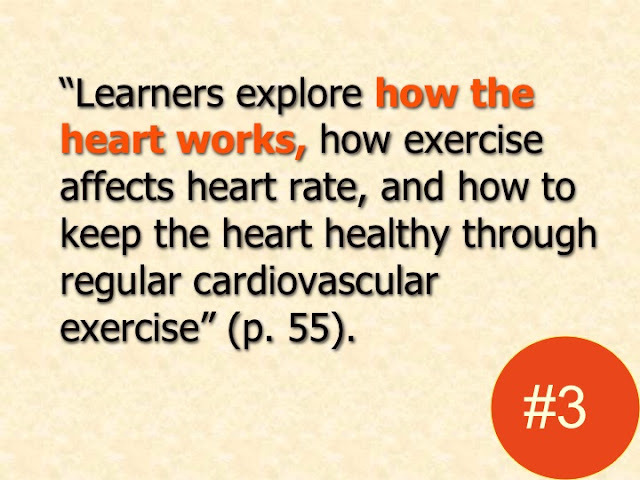 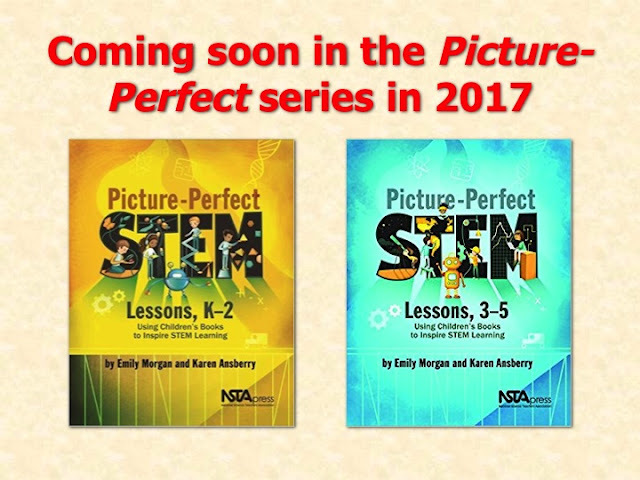 Here are a few highlights of our upcoming presentation at NSTA. 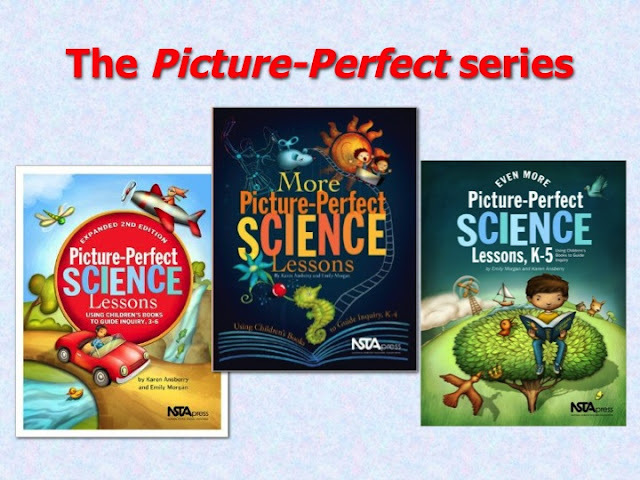 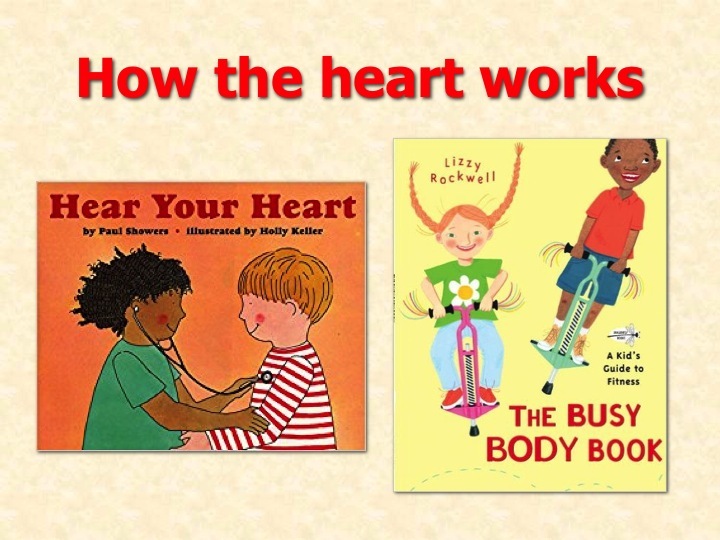 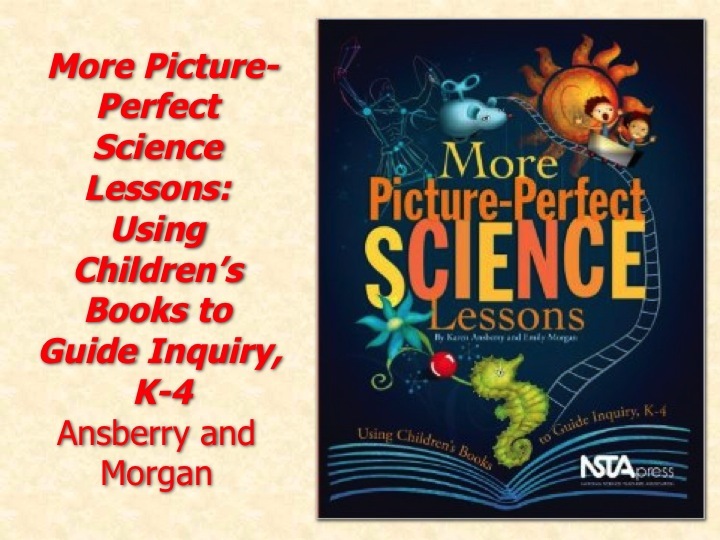 We’re particularly connecting with the very popular Picture-Perfect series by Emily Morgan and Karen Ansberry that suggests using picture books as anchors for science lessons—and we’re adding poetry to that mix! 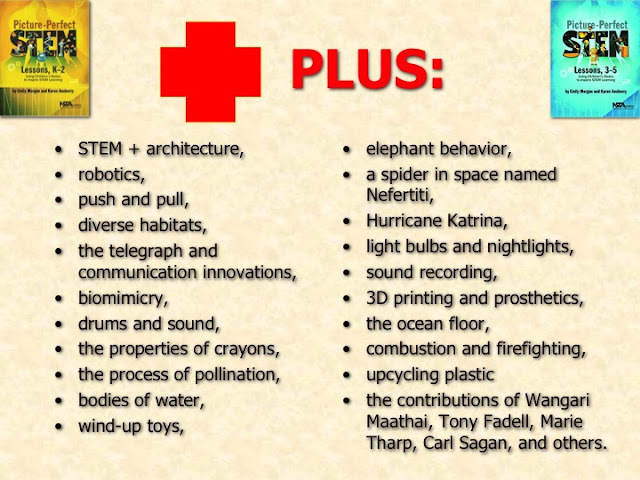 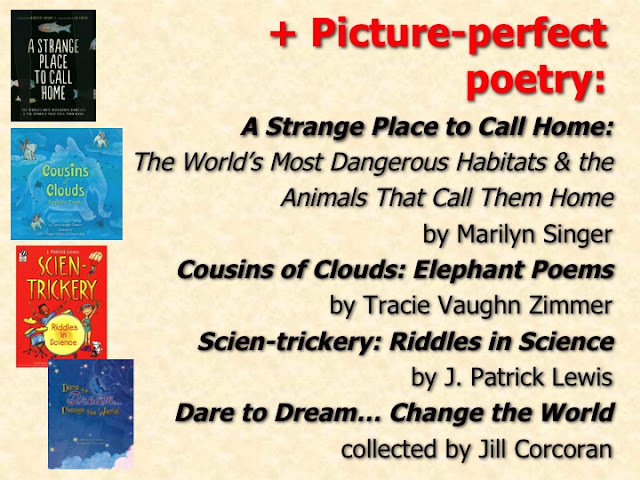 Science-focused picture books + science-focused poetry! 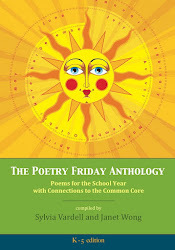 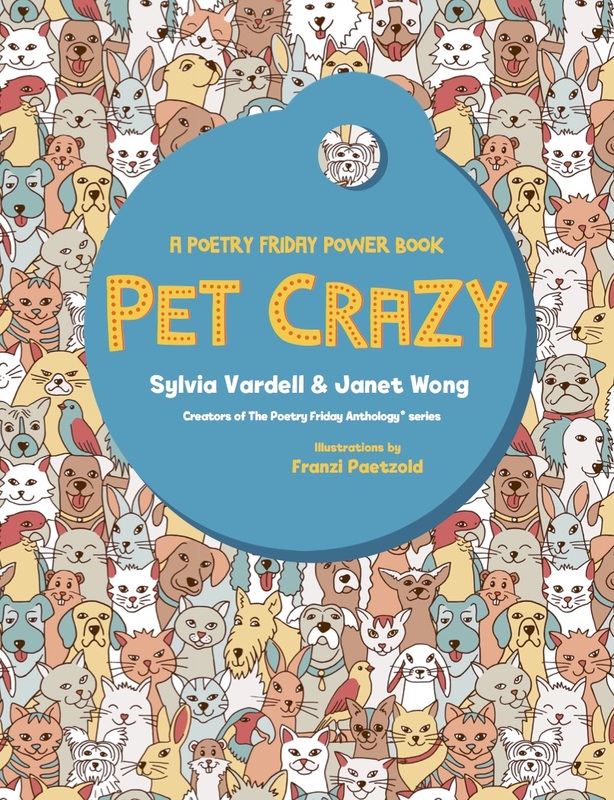 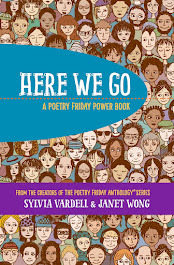 What poetry book might you connect with this topic and with these particular picture books? 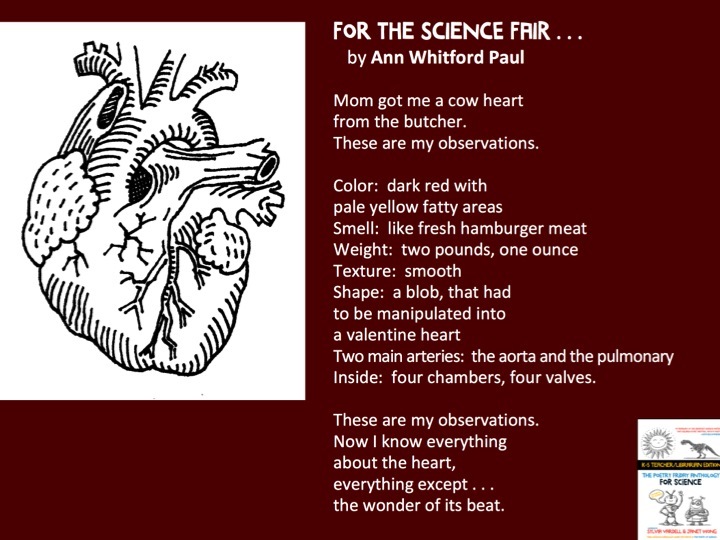 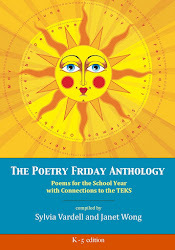 And what poem from The Poetry Friday Anthology for Science might extend this lesson even further? 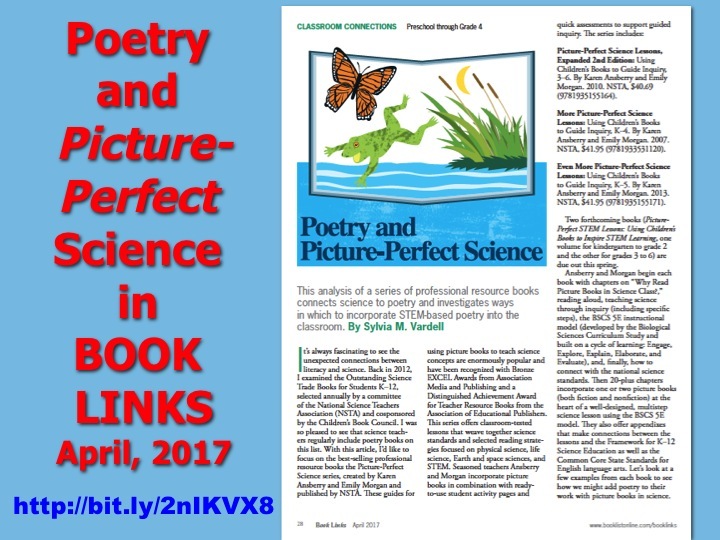 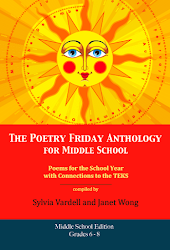 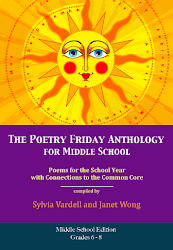 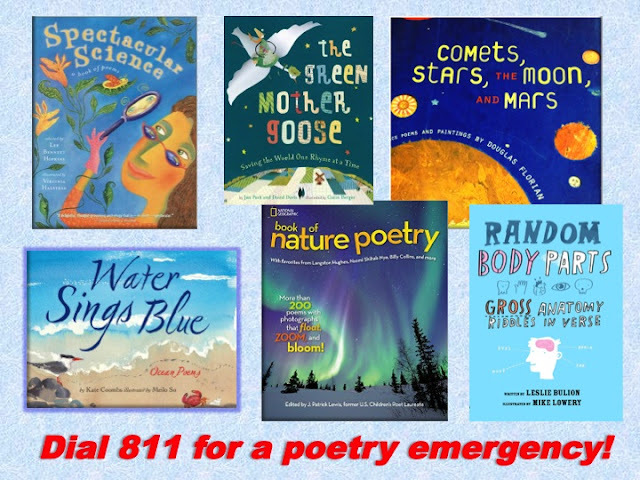 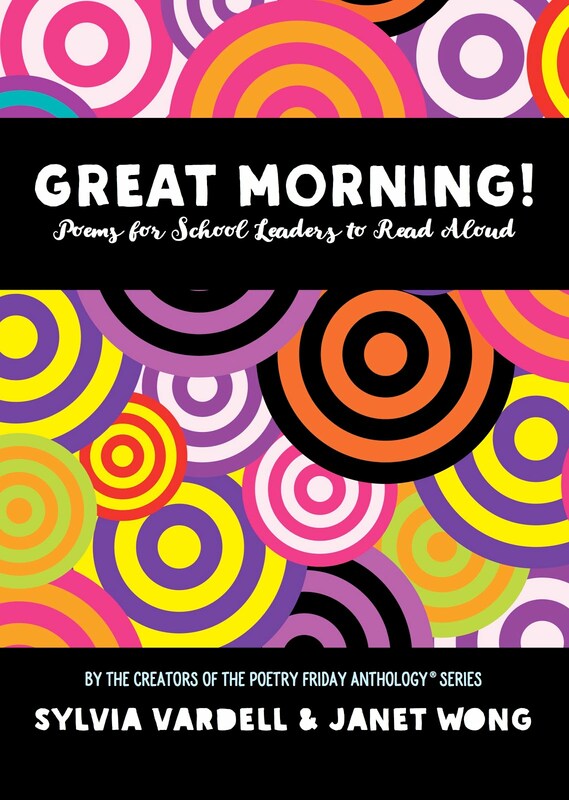 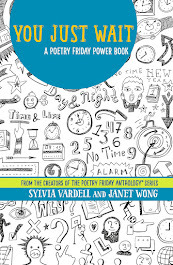 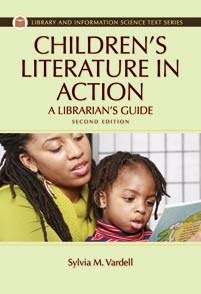 Finally, my Book Links article for April suggests poetry to match with their selections of science picture books in each of the Picture-Perfect resource books. You’ll find that HERE. That's just a sampling of what we shared. 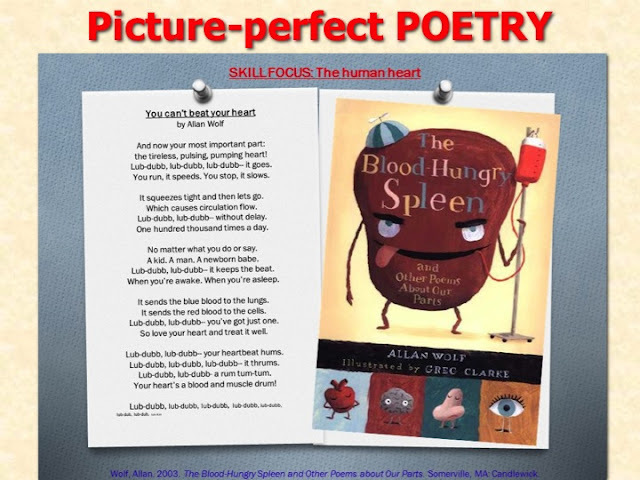 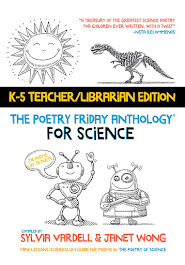 The main point is: if you're using picture books with a science focus for a science lesson, why not include a science poem (or poetry book) to extend the lesson even further? Start or end the lesson with a poem. 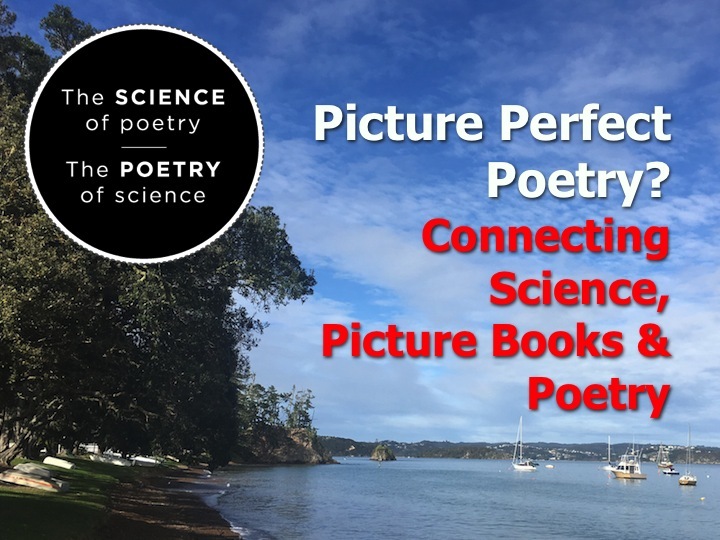 Or offer another way of viewing a science topic through the eyes of a poet! 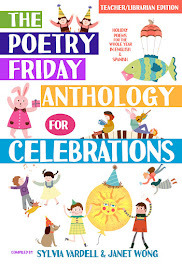 Now go see what Amy Ludwig VanDerwater has in store for us this Poetry Friday over at the Poem Farm.